To me Vertigo Comics has produced some the best comic books that I have read. From Neil Gaiman's The Sandman, through The Books of Magic and Sandman Mystery Theatre to The House of Secrets, the imprint of DC Comics fills my bookshelves. Which is part of the reason I have chosen to look at a use of Robert Browning in a 1994 "crossover series" published by the imprint entitled The Children's Crusade. The story, which unites The Sandman, Swamp Thing, Black Orchid, Doom Patrol, Animal Man and The Books of Magic, utilizes what I like to call the "story behind the story" trope. This is where a fictionalized version of an established writer or artist' work is inspired by a event that happened to them in the fictionalized world of the story they appear in, abet with a twist in this case. 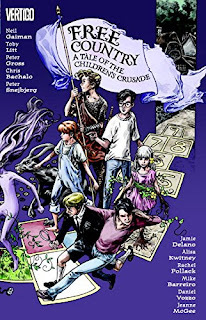 Here, Neil Gaiman as lead writer of the project uses Robert Browning's version of The Pied Piper of Hamelin (and the real life Children's Crusade of 1212) as a jumping on point to tell a story of children being stolen away to a magical land by nefarious forces. 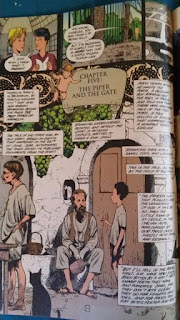 Browning himself is shown being told the "true version" of the tale several years after he has already written his poem. While the poet is not directly shown being inspired, it still presents the subject of his work as being based on a truth. 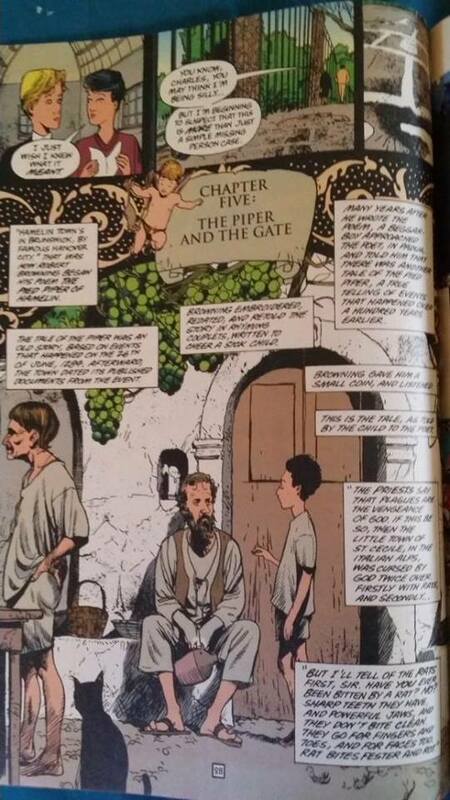 The "story behind the story" trope is one that we shall return to both in the work of Gaiman and others in the future. As an extra nod to Browning one of the sub-chapters is entitled 'Charles Rowland to the Dark Tower Came'. Combining the name of a character from the story and Childe Roland to the Dark Tower Came. The series was recently collected, abet in a altered form, as a hardcover and comes recommended to anyone who loves fantasy. Chapter 16: Celebrating Ada Lovelace Day early.